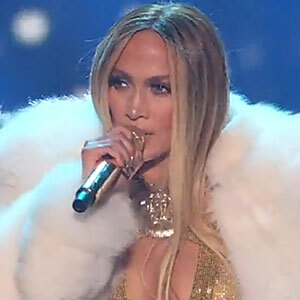 Whether she’s singing, dancing or acting, Jennifer Lopez is a performer who is known for giving it all she’s got. But during one show, Lopez recently admitted, she gave a bit more then she had planned. With that unlucky break, J-Lo joins a growing list of superstar singers—including Taylor Swift and Michael Buble—who have something in common: All have chipped their teeth on microphones while giving a performance. But it’s not just celebs who have accidental dental trouble. Chips are among the most common dental injuries—and the front teeth, due to their position, are particularly susceptible. Unfortunately, they are also the most visible. But there are also a number of good ways to repair chipped, cracked or broken teeth short of replacing them. For minor to moderate chips, cosmetic bonding might be recommended. In this method, special high-tech resins, in shades that match your natural teeth, are applied to the tooth’s surface. Layers of resin, cured with a special light, will often restore the tooth to good appearance. Best of all, the whole process can often be done in just one visit to the dental office, and the results can last for several years. For a more permanent repair—or if the damage is more extensive—dental veneers may be another option. Veneers are wafer-thin shells that cover the entire front surface of one or more teeth. Strong, durable and natural-looking, they can be used to repair moderate chips, cracks or irregularities. They can also help you get a “red-carpet” smile: brilliant white teeth with perfectly even spacing. That’s why veneers are so popular among Hollywood celebs—even those who haven’t chipped their teeth! Fortunately, even if the tooth is extensively damaged, it’s usually possible to restore it with a crown (cap), a bridge—or a dental implant, today’s gold standard for whole-tooth replacement. But in many cases, a less complex type of restoration will do the trick. Which tooth restoration method did J-Lo choose? She didn’t say—but luckily for her adoring fans, after the microphone mishap she went right back up on stage and finished the show. Brushing and flossing your teeth provides a lot of benefits, including a brighter smile and fresher breath. But the primary benefit—and ultimate goal—is removing dental plaque. This biofilm of bacteria and food remnants on tooth and gum surfaces is the number one cause for dental disease. Brushing and flossing can effectively keep plaque under control. Unfortunately, plaque can be a stubborn foe, hiding in areas easily missed if you're not thorough enough. So how do you know you're doing a good job brushing and flossing? One quick way is to use your tongue or dental floss to feel for any grittiness, a possible sign of remaining plaque. Ultimately, your dentist or hygienist can give you the best evaluation of your hygiene efforts during your three or six-month checkup. 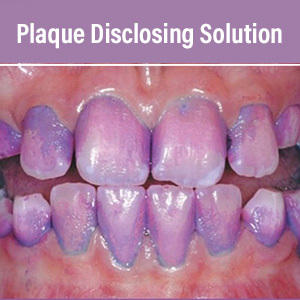 But there's another way to find out more definitively how well you're removing plaque in between dental visits: a plaque disclosing agent. These over-the-counter products contain a dye solution that stains plaque so it stands out from clean tooth surfaces. A disclosing agent, which can come in the form of tablets, swabs or a liquid, is easy to use. After brushing and flossing, you apply the agent according to the product's directions. The dye reacts with plaque to stain it a distinct color. You may also find products with two-tone dyes that stain older and newer plaque different colors to better gauge your overall effectiveness. You then examine your teeth in the bathroom mirror, looking especially for patterns of missed plaque. For example, if you see dyed plaque running along the gum line, you'll know you need to concentrate your hygiene there. After observing what you can do to improve your future efforts, you can then brush and floss your teeth to remove as much of the dyed plaque as you can. The staining from the dye is temporary and any remaining will fade over a few hours. Using a disclosing agent regularly could help you improve your overall hygiene technique and reduce your risk of disease. Ask your dentist for recommendations on products. February is National Children's Dental Health month, sponsored annually by the American Dental Association. As important as good oral health is to a child's overall health and development, tooth decay tops the list as the most common chronic childhood disease. In fact, over 40% of children ages 2-11 have had cavities in their baby teeth. Get your child in the habit of brushing and flossing every day. Cavity prevention starts at home, so teach your child to brush twice a day with fluoride toothpaste—but use only a smear of toothpaste the size of a grain of rice before age 3, and a pea-sized amount from ages 3-6. Introduce dental floss into the routine when you notice that your child's teeth are starting to fit closely together. Children generally need help brushing until age 6 or 7 and flossing until around age 10. Encourage tooth-healthy eating habits. Provide your child with a balanced diet with plenty of vegetables, fruits and whole grains. Stay away from sugary snacks and beverages, especially between meals. If children drink juice, they should do so with meals rather than sipping juice throughout the day or at bedtime. Even 100% juice has natural sugars and can be acidic, which can harm teeth with prolonged exposure. Establish a dental home early. Tooth decay isn't always easy to spot with the naked eye, so regular dental visits should start no later than a baby's first birthday. We can check the development of your child's teeth and spot any issues of concern. The earlier tooth decay is caught, the less damage it can do. Even if there are no dental problems, establishing a dental home early on will help your little one feel comfortable at the dental office. Ask about preventive dental treatments. Fluoride varnishes or rinses are frequently recommended to help prevent cavities, particularly for children at higher risk of getting cavities. Dental sealants, another preventive treatment, are a coating commonly applied to molars to seal out tooth decay. 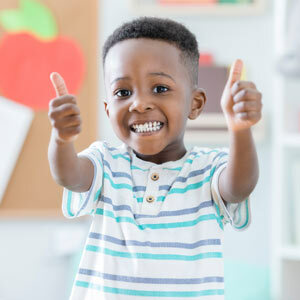 According to the U.S. Centers for Disease Control, children ages 6-11 with dental sealants have nearly three times fewer cavities than children who do not have sealants. We've known for decades that fluoride strengthens tooth enamel and lowers the risk for decay. And while adding it to toothpaste and drinking water are the more common ways for getting it into the body, an increasingly popular way—especially for children—is to apply fluoride directly to the teeth. But is topical fluoride really worth the effort and expense? And, are there any side effects to treating teeth this way? As to the first question, researchers have performed numerous studies measuring fluoride's effectiveness for preventing tooth decay. The Cochrane Oral Health Research Group recently reviewed studies on topical fluoride applications involving nearly 10,000 children and adolescents between the ages of 2 and 15. The combined average for all the studies showed a 28% reduction in decayed teeth for patients who received topical fluoride compared to those who didn't. This was especially true for children at high risk for decay: directly applying fluoride gels, foams or varnishes to teeth reduces that risk substantially. But there are also side effects to this application. Fluoride in general has only one known safety concern, a condition known as fluorosis. Too much fluoride over time can cause heavy discoloration of the teeth. This does not affect the health of the teeth, but it can look unattractive and require cosmetic treatment to reduce its effect. There's little to no risk for fluorosis with the controlled treatments offered by dentists; the fluoride solution remains on the teeth no more than a few minutes. But there is a possible side effect during treatment due to the relatively high dose of fluoride used. If the patient accidentally swallows some of the solution, the concentration of fluoride can cause stomach upset, vomiting or headaches. Dentists minimize the chances for this by usually using the more difficult to swallow varnish form of topical fluoride on younger patients, and using trays or other barrier devices to isolate the fluoride solution from the rest of the mouth. Under professional supervision, it's rare for an accidental ingestion to occur. The risks for these side effects are quite low, and the benefits of topical fluoride for reducing the chances for decay can more than outweigh them. Fluoride applications are one of many ways we can protect your child's current and future dental health. Multi-platinum recording artist Janet Jackson has long been known for her dazzling smile. And yet, Jackson admitted to InStyle Magazine that her trademark smile was once a major source of insecurity. The entertainer said, “To me, I looked like the Joker!” It was only after age 30 that the pop icon came to accept her unique look. Professional teeth whitening: Sometimes a professional teeth whitening will give you the boost you need. In-office whitening can dramatically brighten your smile in just one visit. Tooth-colored fillings: If you have silver-colored fillings on teeth that show when you smile, consider replacing them with unnoticeable tooth-colored fillings. Dental bonding: If you have chipped, cracked, or misshapen teeth, cosmetic bonding may be the fix you’re looking for. In this procedure, tooth colored material is applied to the tooth’s surface, sculpted into the desired shape, hardened with a special light, and polished for a smooth finish. 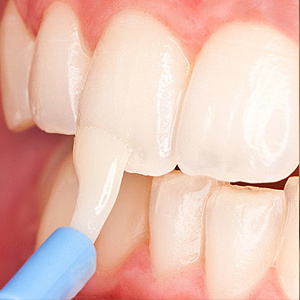 Porcelain veneers: Dental veneers provide a natural-looking, long-lasting solution to many dental problems. These very thin shells fit over your teeth, essentially replacing your tooth enamel to give you the smile you desire. Replacement teeth: Is a missing tooth affecting your self-confidence? There are several options for replacing missing teeth, from a removable partial denture to a traditional fixed bridge to a state-of-the-art implant-supported replacement tooth. Removable partial dentures are an inexpensive way to replace one or more missing teeth, but they are less stable than non-removable options. Dental bridges, as the name implies, span the gap where a tooth is missing by attaching an artificial tooth to the teeth on either side of the space. In this procedure, the teeth on both sides of the gap must be filed down in order to support the bridgework. Dental implants, considered the gold standard in tooth replacement technology, anchor long-lasting, lifelike replacements that function like natural teeth. After coming to embrace her smile, Jackson asserted, “Beautiful comes in all shapes, sizes, and colors." If you don’t feel that your smile expresses the beauty you have inside, call our office to schedule a consultation. It’s possible to love your smile. We can help.